Collisions involving buses are among the most tragic, given the number of passengers they carry and the fact that many buses lack seatbelts and other safety features. Commercial bus travel has grown recently, with popular destinations offering charter buses to transport visitors to and from their sites and a host of commercial operators offering bus transport between major cities. Whether you were seriously injured or you lost a loved one in an accident involving a commercial or charter bus, city bus or school bus, you may be entitled to compensation as a result of this tragedy. Our primary mission, however, is to assist you and your family. Our attorneys have the experience and skills to fight for your financial recovery. If you have received a serious injury or have lost a loved one in a bus accident, contact us to schedule a consultation. 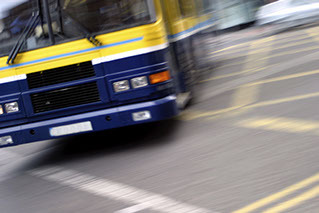 What Should I (or a Loved One) Do After a Bus Accident? First, stay calm. Call 911 if someone has not notified emergency personnel and the police already. If someone has been seriously injured, wait until paramedics have arrived and do not attempt to move other injured passengers yourself unless absolutely necessary. Cooperate with the police. If you were a driver of one of the vehicles involved, make sure to gather evidence such as cell phone photographs. Gather as much information as you can about the other parties, the police officer’s name and badge number, and a report number. Take photos of the collision from as many angles as possible. Take photos of the other drivers’ licenses, license plates and insurance information. 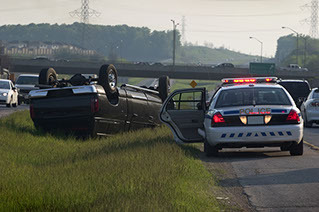 If you were driving one of the vehicles, notify your insurance company about the collision. Seek medical attention. Even if you don’t immediately notice any injuries, soft tissue damage can take a few days to become noticeable and, by that time, any underlying serious injuries may become more severe due to lack of proper diagnosis. Contact an experienced bus crash lawyer with the skills and trial results necessary to investigate the case and assist you in your time of need. The hours and days immediately following the collision are the most important and play a critical role in your lawyer’s ability to hold the responsible parties accountable for their negligence and seek justice for the harms and losses suffered. Simon Greenstone’s bus accident legal team includes an experienced commercial pilot who can travel to almost any site, however remote, on short notice. Once you have secured the services of a lawyer who is experienced with bus wrecks, they will work with all parties to secure and preserve all the relevant evidence. Do not accept a settlement from an insurance company until you have met with a bus accident lawyer who has experience taking such cases to a verdict. Outdated and obsolete equipment: Just as with passenger vehicles, technological advances have made motor coaches safer and more responsive to real-world driving conditions. If a bus company has not implemented up-to-date equipment, passenger safety will suffer and unnecessary injuries and deaths will continue to occur. Impaired bus driver: A bus driver can be impaired by a range of issues including drug and alcohol abuse, or underlying dangerous medical conditions like sleep apnea. Any driver who is under the influence of drugs or alcohol is dangerous, but a bus driver who is impaired is exponentially more dangerous because he or she is responsible for the safety of the bus’ passengers as well as all others on the road he or she is traveling on. Road rage or aggressive driving: Not only must a bus driver maintain professionalism, but he or she must also be able to avoid other drivers who are driving aggressively and unsafely. Bus companies provide specific training in these areas. Unfortunately, ensuring that training happens is often not enforced. Poor bus maintenance: A poorly maintained bus is a danger to its passengers and other drivers. Bus driver negligence: Some bus drivers are professionals who take passenger safety seriously. Other drivers, however, get behind the wheel without sufficient sleep, allow themselves to be distracted, make illegal turns and disobey the rules of the road, leading to death and serious injuries for passengers and others on the road. Unruly passengers: Sometimes the most dangerous people on the bus are other passengers, and the bus company has a duty to eject them from the bus if they pose a threat to others. Lack of training: An insufficiently trained bus driver is unable to respond to common road hazards or operate the vehicle safely. Poorly trained drivers are responsible for a majority of the accidents and injuries suffered in the United States. Improper hiring: It’s incumbent on commercial bus companies to ensure that those who are responsible for the safety of passengers pass all background checks and maintain their fitness to operate safely. Fatigued drivers: The Federal Motor Carrier Safety Administration has strict rules for the number of hours a motor coach driver may be in service. Unfortunately, some drivers violate these regulations and the consequences can be disastrous. Distracted drivers texting or using a cell phone: A distracted bus driver is even more dangerous than a distracted driver of a passenger vehicle. Speeding: Bus drivers are expected to stay on schedule, despite the presence of traffic, construction, wrecks and other delays. When that happens, they often resort to speeding to make up time, putting their passengers and other drivers in danger. The FMCSA offers this Bus Safety Checklist for passengers looking to ensure a safe trip. Because most buses are not equipped with passenger seat belts, passengers can sustain serious injuries in fairly minor accidents. According to the U.S. Department of Transportation’s Large Truck and Bus Crash Facts 2012, 23,000 people were injured and 280 people were killed in bus accidents in 2012, the last year for which statistics are available. The injuries sustained by those surviving bus wrecks include brain injury, internal bleeding, emotional trauma, diminished quality of life, spinal cord injury, broken bones, joint dislocation, serious skin lacerations, paralysis, amputation, loss of hearing, loss of sight, nerve damage and head injury or trauma. If you have been involved in a bus crash, there may be multiple parties involved including: the bus driver, the bus or charter company owner, maintenance company, a manufacturer, construction company or municipality, or the driver and owner of other vehicles involved in the collision. If you hire a competent lawyer after your accident, you may be entitled to damages from one or more of those parties, but you should act quickly to ensure that your attorney is able to fully investigate the accident and preserve evidence that could be useful to your claim. Because of the complexity of state and federal regulations, as well as often-complicated corporate ownership structures, bringing a lawsuit against a bus operator requires the services of a skilled, experienced bus crash attorney who has actually tried a case like yours to verdict. Often, a lawyer who has not taken a bus crash case to trial will settle a client’s case without ever working the case up to trial status. Unfortunately for the client, that often results in lower recoveries for the injured party. Insurance and bus companies keep good track of those who have successfully tried these types of cases to verdict and received substantial awards for their clients, including punitive damage awards. This is why you should only hire a lawyer that has actually tried a case like yours to verdict and won. It’s critical to ensure that your attorney has what it takes to obtain a substantial verdict in a bus crash lawsuit. Our attorneys have the skills to win in court against bus companies that put profits over the public’s safety. Simon Greenstone’s Ron McCallum was a lead attorney in a three-week trial against Greyhound Lines Inc. that resulted in the largest motor vehicle accident verdict in Texas in 2011, according to Texas Lawyer and VerdictSearch. This verdict also stands as the largest verdict rendered by a jury against Greyhound in the history of that company. In that case, Mr. McCallum’s clients were severely injured when the bus lost control on an icy road. Mr. McCallum proved to the jury that, among other things, the bus driver was driving at an unsafe speed and that, because of several speeding citations, Greyhound should not have hired him in the first place.